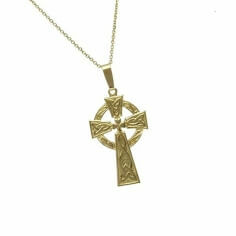 A lovely little hand-crafted trinket. 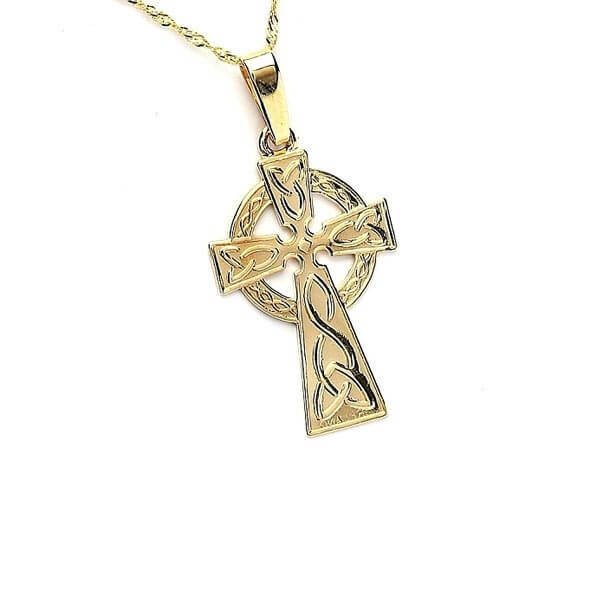 The traditional Celtic cross is decorated with pressed knot-work highlighting the cross and a complimenting, pristine winding weave about the circle. Polished to gleaming shine, and with the finest quality craftsmanship, this treasure is available in sterling silver or gold. It makes the perfect bridesmaid gift if you can stand to part with it. Elegant enough on its own, yet this necklace is simple enough to compliment any other jewelry.